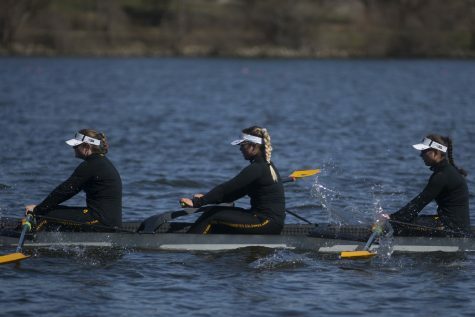 Iowa rowers enter this weekend’s Big Ten Championship with a top-seeded boat and their eyes set on improvement. 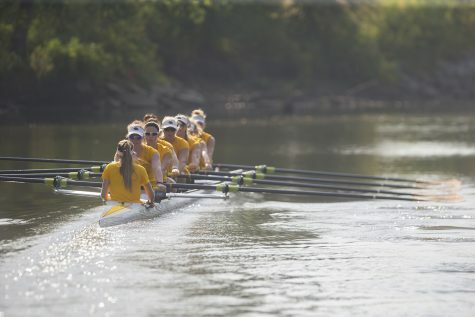 Iowa boats are taking to the waters this weekend in Indianapolis to compete in the Big Ten Championships. The Hawkeyes have steadily progressed forward the past four years under head coach Andrew Carter’s guidance. In 2014, Iowa finished seventh in the Big Ten with 39 points. The following season, the team bumped up to sixth place, with 79 points. In 2016, the team finished fifth with 95, and last year Carter’s squad set a school record with 106 points, tying for fourth place. This year, the team has positioned itself to continue its improvement. As a program, Iowa is ranked third in the Big Ten. Nationally, Carter’s squad sits at No. 8. But how can the team build on its rankings? 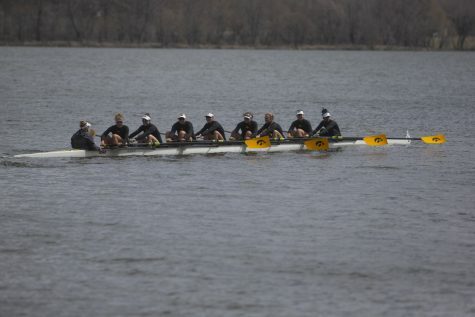 Iowa’s first I Varsity Eight is heading into the Big Ten Championships with the top seed. The crew has beaten then-No. 4 Princeton, No. 6 Yale, No. 6 Michigan, No. 9 Virginia, No. 12 USC, and No 18 Michigan State in the waters thus far this season. The II Varsity Eight holds the third seed. The I Varsity Four and the II Varsity Four are both the fifth seeds in their races. 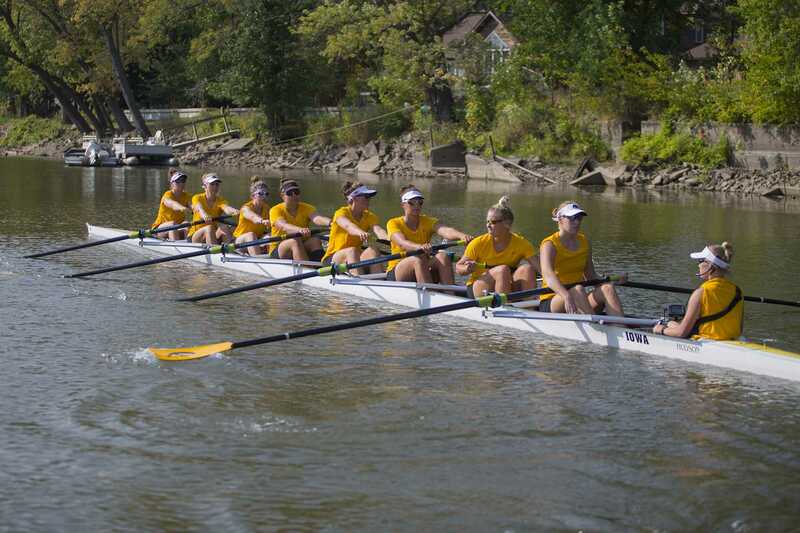 The I Novice Eight and the II Novice Eight are both the sixth seed, and the III Varsity Four is the fifth seed. The team has had one of the toughest schedules in all of collegiate rowing. On top of the top-ranked squads already listed, the team has faced No. 2 California and No. 3 Texas. Each race has built towards this weekend and the NCAA Championships on May 25. Kaelynn Heiberg, a senior rower on the IV8+, echoes her coach’s confidence. 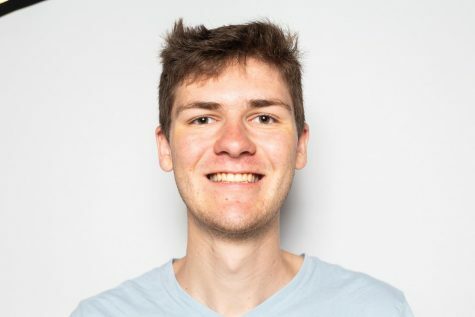 The crews’ progressions are not surprising to Carter. Under his guidance, the team has started a 10-kilometer club that meets outside of practice. 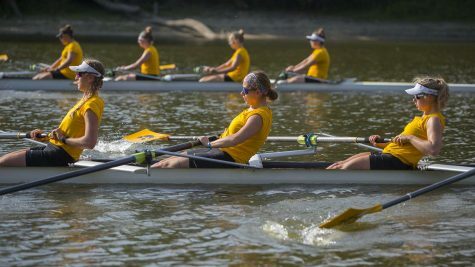 The extra rowing added to the already-extensive workouts has considerably cut racing times. That orange is expected to be squeezed this weekend. 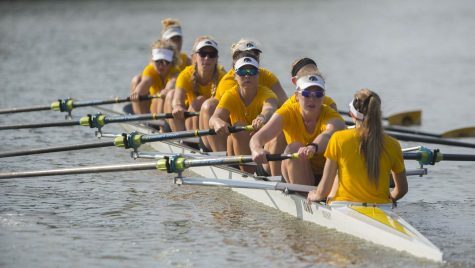 The team has its eyes set on improving last year’s fourth-place performance and winning the IV8 race. “If we do what we’re supposed to do and win our race, that would be a pretty amazing way to go out,” Duda said.